This edition of MRM’s Daily Bite has news from Toast and TripAdvisor, Grubhub and AMEX, Fourth, Tillster and McAlister’s Deli, Artichoke Basille’s Pizza and Entrepreneurial Chef. Boston tech powerhouses Toast and TripAdvisor are partnering to deliver restaurants of all sizes the best suite of tools to entice new guests. Grubhub is working with American Express to enable card members enrolled in the Membership Rewards® program to use Membership Rewards® points to order on Grubhub and Seamless online and mobile platforms. Additionally, American Express Card Members can quickly and easily pay via Amex Express Checkout. Card Members enrolled in the Membership Rewards program can now use points for food on Grubhub and Seamless at 80,000 restaurants in more than 1,600 cities. Fourth Launches Payroll Service in U.S.
Fourth has brought to the U.S. the first payroll service specifically built to address the complexities of the hospitality industry. Fourth has been providing payroll services for more than 15 years to hospitality operators, such as Five Guys, Subway, Travelodge and Krispy Kreme, in the U.K. and has now gone live in the U.S. market with Chotto Matte, a Japanese-Peruvian restaurant operator, and Wagamama, the international restaurant and noodle bar chain. Fourth’s Payroll Service provides a one-stop solution for managing multiple employments, varying pay rates, shift work, variable hours, temporary staff and paid time off. Built-in payroll data analytics empower hospitality operators to make faster and better decisions, materially reducing the cost and inefficiencies associated with traditional payroll services. Part of its Workforce Management solution set, Fourth’s Payroll Service is integrated with its Workforce Planning tool. With data inputs on logged employee hours, this tool calculates employee gross and net wages, used by the payroll service team to generate payments to hospitality employees. All hospitality-relevant labor regulations are built into the platform to ensure operator compliance. “Wagamama USA chose Fourth’s workforce management solution because it provides a single platform for us to manage the entire employee lifecycle – and, crucially, with fully integrated payroll delivered by a team that genuinely cared about us,” explained Paul Oakley, Wagamama U.S. Finance Director. “There was an immediate and significant increase in accuracy due to our switch in payroll providers. They do deliver – our people are paid accurately and on time, tips are paid through payroll and taxed accurately, and staff can view their paystubs as well as their schedules on the Fourth app on their cell phone. Oakley continued: “And we are getting results that go further than an accurate and timely payroll. Our labor spend has improved because the system’s intelligence in labor forecasting allows us to focus on overstaffing. 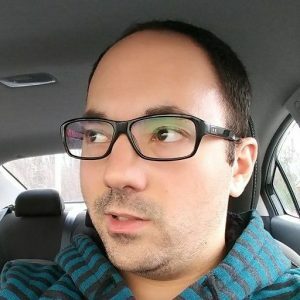 Creating a schedule is simple and saves hours each week compared to Excel and manual systems. “Our approach is totally unlike other payroll providers,” noted Sheryl Steele, Fourth’s VP of payroll operations. “Our solution is specifically designed for highly complex hospitality payroll and copes easily with different rates of pay, staff who are seasonal, transient, full-time, part-time and those who carry out a variety of functions. To build upon Fourth’s payroll success in the U.K. and expand these services into the U.S. market to meet local hospitality customer demand, Steele, who has led Fourth’s global payroll operations for 10 years, opened a new service center in Tampa in October 2017. Managed by payroll operations manager Jennifer Specht, the center has hired from the Tampa area’s rich pool of payroll specialists to staff up for customers. Tillster launched a consolidated digital ordering and CRM program for McAlister’s Deli® that enables them to leverage the Tillster technology infrastructure to better understand its customer base, improve the quality of guest touch points, and ultimately provide a superior guest experience. At the end of January 2018, McAlister’s made its most significant move leveraging Tillster’s technology, by launching a redesigned mobile app. This latest update not only improved the guest ordering experience, but introduced a new surprise-and-delight rewards program where guests receive rewards via the McAlister’s Deli app and can redeem them through a mobile order or in-restaurant. This new program surprises guests with offers for the McAlister’s favorites they know and love, and allows McAlister’s the ability to unify digital and in-store transactional data. These added capabilities provide McAlister’s with a better understanding of its guests, allowing more targeted communications and offers, while guests receive a simplified app ordering experience. Artichoke Basille’s Pizza will open its first Staten Island location at Empire Outlets, New York City’s first and only retail outlet center. This is a homecoming of sorts for Artichoke co-founders and cousins Francis Garcia and Sal Basille,who first learned the food business at their family’s Staten Island restaurant, Basille’s, before inventing their own unique style of “authentic New York pizza.” In fact, they even wrote a cookbook, “Staten Italy,” and their namesake Artichoke Pie, which has taken the city by storm with its unique combination of artichoke hearts, spinach, cream sauce, mozzarella and pecorino romano, was first conceived at the family’s Staten Island restaurant Basille’s and inspired Fran and Sal to open their own concept. Since opening the first Artichoke Basille’s on Manhattan’s 14th Street, the cousins have expanded to 12 restaurants across Manhattan, Brooklyn, and Queens; Berkeley, California; and Miami, Florida’s South Beach. “It’s an exciting venture to be opening an Artichoke Basille’s Pizza in Staten Island, where our passion for pizza and admiration for the culinary and restaurant industries all started,” said Francis Garcia. “We’ve been swiftly expanding the brand, and to open a location in Staten Island is a natural choice. We’re finally coming back home,” added Sal Basille. Artichoke Basille’s Pizza will join Empire Outlets’ diverse group of dining options curated by Michael Brais of Douglas Elliman Commercial, including Shake Shack, Wasabi Steak & Sushi, Mighty Quinn’s Barbeque, Nathan’s Famous, and MRKTPL, Staten Island’s first-ever artisanal food hall. MRKTPL, a 12,723-square-foot artisanal food hall with a 3,000-square-foot outdoor dining space, will include a curated selection of more than 30 diverse and unique concepts. Entrepreneurial Chef launched a national contest with Oneida to give one lucky winner a full tabletop installation in 2018. 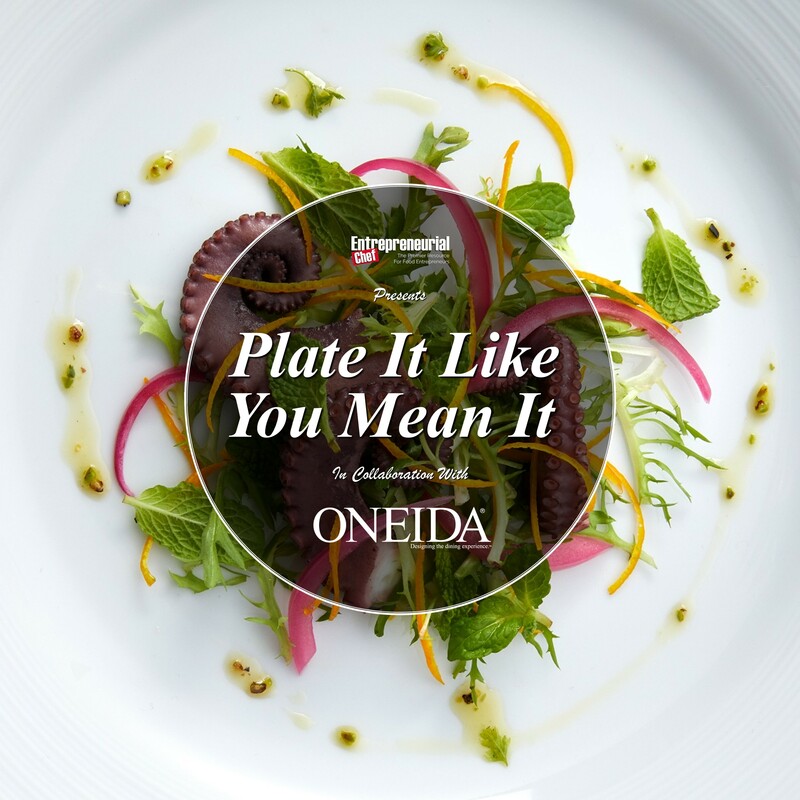 The “Plate It Like You Mean It” Contest will run through March 21, 2018, where industry professionals can enter by submitting a photo of a featured dish, provide a compelling reason for winning, and be entered for a chance to receive one of four prize packages comprised of Oneida products collectively valued at over $40,000. The contest is open to legal residents of the 50 United States, and the District of Columbia (U.S.), age 21 or older at the time of entry and requires no purchase necessary. The prize packages include the Grand Prize of a full tabletop installation in 2018, a Voter’s Choice Award with $10,000 in Oneida products, a First Runner Up with $5,000 in Oneida products, and Second Runner Up with $2,000 in Oneida products. Entries can be submitted at entrepreneurialchef.com/oneida.